If you’re involved in a contested divorce case involving custody of kids, you may not have given much thought about having a guardian ad litem (GAL) appointed. 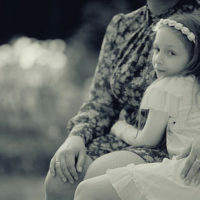 A GAL can be a valuable asset when mom and dad have conflicting stories about who is most qualified to live with the children, or contested versions of what is right for a minor child, and a judge will give weight to what a GAL says. The GAL will do an extensive review and observation, and interview with the parents of the child and the child. This can be valuable because as a general rule, kids don’t testify in their own custody hearings. Thus, a GAL can act as the “voice” of a minor child. A GAL may also interview third parties involved with the child, such as teachers, coaches, or doctors, and may obtain records relating to the child. The GAL will usually participate in hearings that involve the child, and can even ask the court to have the child evaluated by other professionals (doctors or psychologists). When the investigation is complete, the GAL will testify as to his or her findings and recommendations as to the child. A GAL can be a person with some background or training in psychology, guidance or counseling, or may be an attorney. At the very least, the GAL must be certified by the state’s GAL training program. A court can appoint a GAL on its own, or a party can ask for one to be appointed. A GAL is much like a lie detector test in a criminal case. If you are convinced that you are in the right, and that what you want for the child is best for the child, then the GAL can be an invaluable asset in proving that to the judge, assuming the GAL finds the way you think he or she will. On the other hand, again like a lie detector test, sometimes the GAL does not come back exactly as a parent anticipates. Sometimes, the GAL will find your “irrational” ex to be rational or find the “appalling” circumstances to which your ex exposes your child to be just fine. In many cases, children, especially young ones, will be brutally honest with a GAL, more so than with parents, which may hurt, surprise and shock you. You also should be on your best behavior—GALs are just people, and they get along with some people and don’t with others. In many cases, family law litigants develop personality conflicts with GALs, which can impact the GAL’s findings. You can challenge and contest a GAL’s findings in court, but it is not easy. If you are the one who originally asked for the appointment, a judge won’t take kindly to you now asking that the judge not consider the GAL’s findings. Because many judges see or use the same GALs, there is somewhat of a rapport between them that you will be trying to interfere with should you ask the judge to find what the GAL is finding to be incorrect. If you are getting divorced and are seeking custody of minor children, contact Tampa family law attorneys at the Pawlowski//Mastrilli Law Group for help and advice about what you can expect.